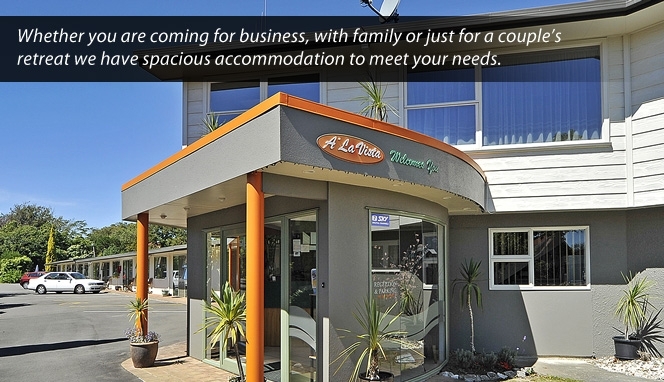 Come and visit us at A'La Vista Motel, single storey motel accommodation centrally located on Fitzherbert Avenue in Palmerston North, 5 minutes walking distance to city centre and a large selection of shops, restaurants and cafés. Close to Massey University, Science Centre, Lido Aquatic Centre, Teacher Training College, sports grounds and artificial hockey turf. Whether you are coming for business, with family or just for a couple's retreat we have spacious accommodation to meet your needs.